Overheard starts out so deceptively low key that I was just about ready to write off this 2009 Alan Mak/Felix Chong film within the first fifteen minutes. Sure, the stars are in place early on — Lau Ching-Wan, Louis Koo, and Daniel Wu — but none of their onscreen actions really resonate in any palpable way. The film just seems so damn cold and clinical. But then, things start to evolve slowly and meticulously, as you find yourself gradually involved in each characters’ personal dramas — ranging from petty to life-changing to dire. And that’s when the plot kicks into motion. In the film, Lau Ching-Wan, Louis Koo, and Daniel Wu play cops who do high tech surveillance work for the Commercial Crime Bureau. One day, Gene (Koo) and Max (Wu) capitalize on an illegal insider stock tip they overhear during a night of eavesdropping. Max erases the tape, but their team leader Johnny (Lau) figures their plan out and tries to bust them. But through a series of events, Johnny is pulled into their little gambit, which eventually pays off lucrative dividends. Unfortunately, the three of them are going to have to outwit both the cops and the crooks if their going to make out with their sizable little “heist.” Somehow, a delightfully out-of-place Michael Wong figures into the story as a nefarious gangster/businessman/philanthropist (!). The film is engaging from the moment the protagonists make their move on the insider stock tip right up until the last ten minutes of the film when the unthinkable happens. How can this possibly proceed as a Michael Wong film? Well, it does, amounting to a largely satisfying conclusion. I’m not going to pretend that I understood even half of the stock market jargon in the film, but it’s a credit to filmmakers Mak and Chong for making me feel like it doesn’t really matter. The film moves at a swift pace once the ball starts rolling plot-wise, and it has a lot of interesting things to say about the law, surveillance, and trust. In baseball parlance, Overheard isn’t an out-of-the-park home run, but it’s a solid double. For a more detailed critique, take a look at Kozo’s review on the main site. If you have yet to see Derek Yee’s Drink-Drank-Drunk (2005), you might be surprised to learn that it isn’t really a film about the joys of alcoholism, despite what its title, premise, and pre-release advertising might have led you to believe. 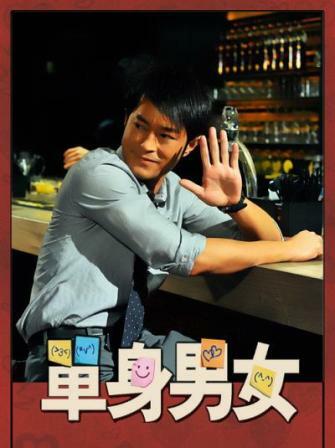 Instead, this romantic comedy centers on a beer hostess — Siu-Min (Miriam Yeung) who may be able to hold her liquor, but is getting a little long in the tooth for her job. Soon, she meets Michel (Daniel Wu), a globe-trotting chef specializing in French cuisine whose restaurant just isn’t connecting with the locals. While drinking his sorrows away, Michel ends up sleeping it off at Siu-Man’s apartment. After the impromptu sleepover, the two become fast friends and — not surprisingly — faster lovers. Derek Yee’s dark 2009 drama Shinjuku Incident is getting a limited stateside release courtesy of the folks at Barking Cow Distribution. For now, the film is showing in California, Hawai’i, New Jersey, New York, and Washington. Click here for specific theater listings. I’ve actually already seen the film, albeit on a Singapore Airlines flight, but if I get a chance, I might catch a screening at the AMC Van Ness 14 here in San Francisco. The airline version seemed to be slightly edited for violence, although I don’t think seeing the reinstated footage would do much of a difference in terms of altering my opinion of the film. In rereading Kozo’s original review, I have to admit that I concur with much of what he has to say. Shinjuku Incident does try to be, as he writes, “an immigrant drama and a gangland thriller.” For what it’s worth, I really liked the immigrant story much more than I did the “emerging criminal empire” angle that emerges halfway through. Part of the reason for the film’s difficulty in transitioning well between the two genres is the casting of Jackie Chan. To be fair, he does a fine job in the role, but — through not fault of his own — he simply can’t transcend his iconic onscreen persona. Jackie Chan’s character, Steelhead, does some very bad things in this movie, but it’s easy to forgive him because of that familiar, affable “I don’t want any trouble” personality he’s cultivated in a myriad of films in the last two decades. We shouldn’t be giving his character a pass during these moments, but strangely, even the worst crimes all feel very justified.